Be a part of the Sisterhood! 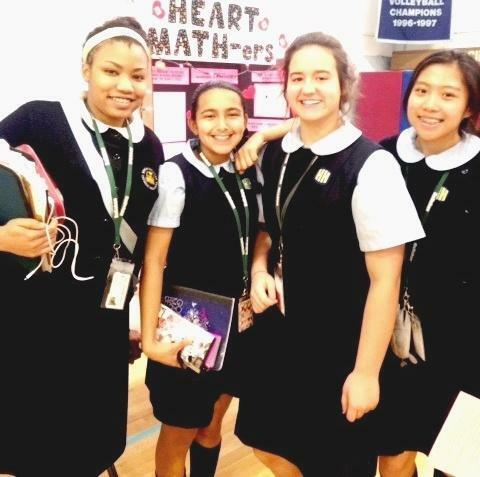 WHAT IS THE ADMISSIONS PROCESS FOR TRANSFER STUDENTS AT JOHN W. HALLAHAN CATHOLIC GIRLS’ HIGH SCHOOL? Download and complete an application for admission (bottom of page). Submit application with fee along with appropriate transcripts and current class schedule. Upon receipt of documentation, an interview will be scheduled with the Admissions Director and Principal. Letter is mailed once an acceptance determination is made. CAN TRANSFER STUDENTS APPLY FOR FINANCIAL AID? For assistance with the Admissions process, shadow days, or clarification on any issue, please contact Mrs. Deb Eckenhoff, Director of Admissions, at deckenhoff@jwhallahan.com or 215-563-8930 ext. 110.